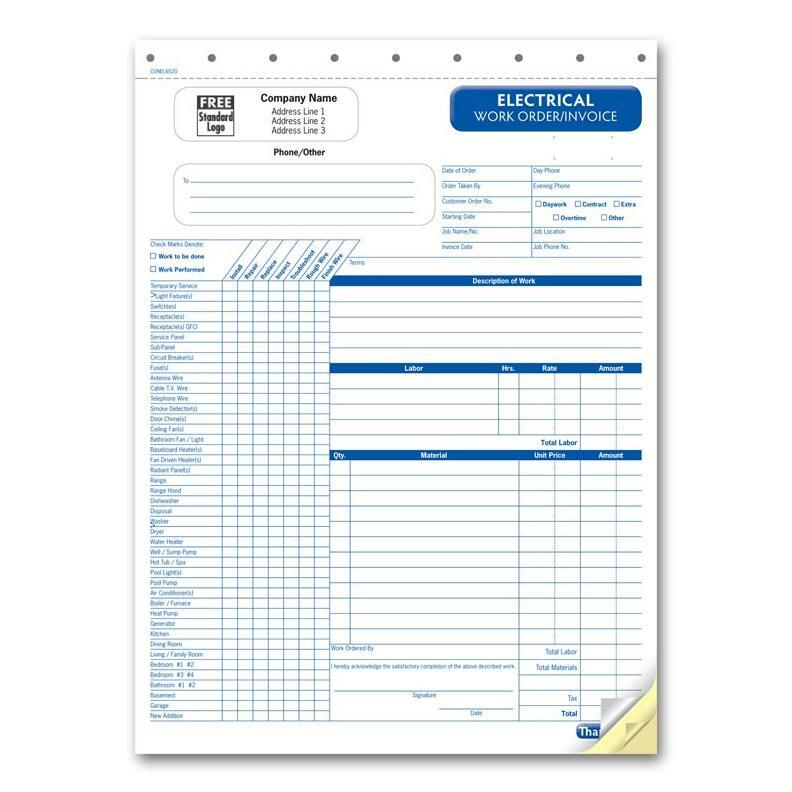 Use our electrical invoice template to create your next set of invoices. 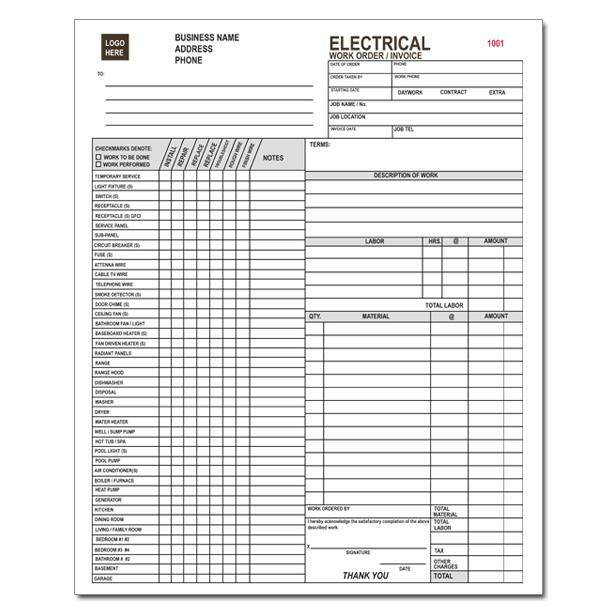 They are professionally designed with all the content you need to invoice your customers. 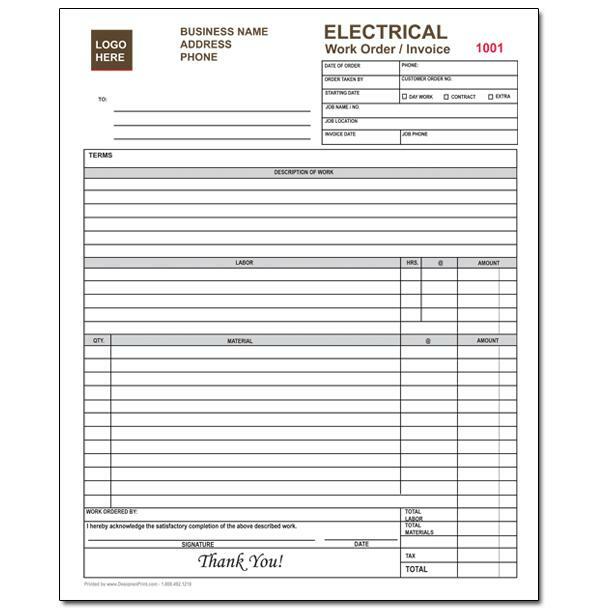 In your business information when ordering and we will send you a proof before we print and ship them to you. Our prices are wholesale and cheap but we don't compromise on quality. We use 20lb carbonless paper and they are glued at the edges. We can also create them in books of 50 or 100. 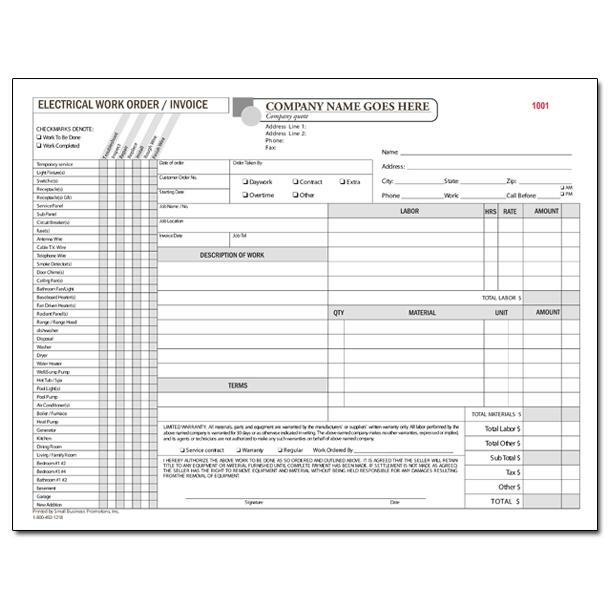 You have the option to number your invoices.